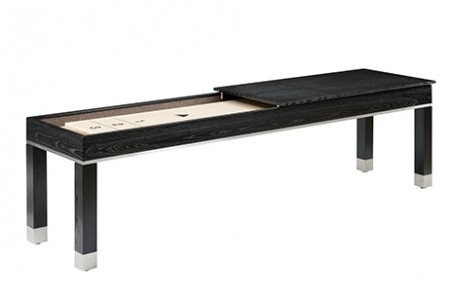 The 9’ Vivienne shuffleboard table has a sleek wooden design with stainless steel accents. 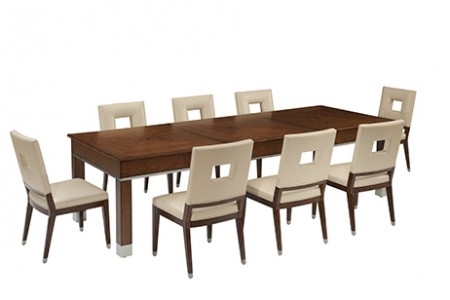 It comes with an elegant dining top that allows you to easily convert it into a dining table or work space. 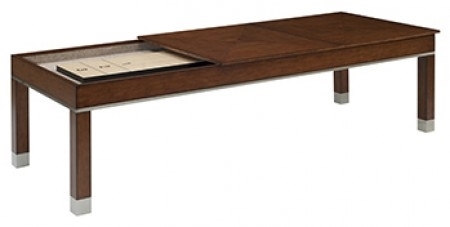 Its simple elegance and sleek lines are designed to blend in seamlessly in any room setting. With versatility in mind, the Vivienne Shuffleboard is available in a traditional shuffleboard height (112”L x 42”W x 36H”) or the cutting edge café height (112”L x 27”W x 31”H). 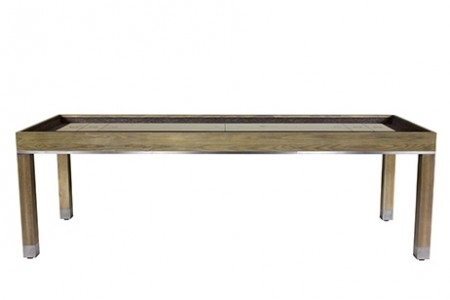 Chairs sold separately.